Why baptism by immersion in water? Alma said: ”Show unto your God that ye are willing to repent of your sins and enter into a covenant with him to keep his commandments, and witness it unto him this day by going into the waters of baptism.” (Alma 7:15). 59 That by reason of transgression cometh the fall, which fall bringeth death, and inasmuch as ye were born into the world by water, and blood, and the spirit, which I have made, and so became of dust a living soul, even so ye must be born again into the kingdom of heaven, of water, and of the Spirit, and be cleansed by blood, even the blood of mine Only Begotten; that ye might be sanctified from all sin, and enjoy the words of eternal life in this world, and eternal life in the world to come, even immortal glory; 60 For by the water ye keep the commandment; by the Spirit ye are justified, and by the blood ye are sanctified; 61 Therefore it is given to abide in you; the record of heaven; the Comforter; the peaceable things of immortal glory; the truth of all things; that which quickeneth all things, which maketh alive all things; that which knoweth all things, and hath all power according to wisdom, mercy, truth, justice, and judgment. 62 And now, behold, I say unto you: This is the plan of salvation unto all men, through the blood of mine Only Begotten, who shall come in the meridian of time. In a dry womb, without the water, no child would survive a pregnancy. There would be no births. This is easily understood and logical. In what way could the same be said about baptism by water? Without baptism by water, no child of God would survive the process of becoming born again? Or, the rebirth wouldn’t occur without the baptism by water. But, if this is the case, I need to ask, why? Is it because God has said that it should be so, and everyone has to come in at the gate (Joh. 10:1-9) and not by some other way? God’s word is law, indeed, by why does he make baptism by water his law? Since the cleansing from sin is wrought through the Holy Ghost, baptism by water has to serve another purpose. Which? God works in patterns. We are born back into his presence by the same elements that we are born out of his (immediate) presence. We show faith in God and his revealed word when we accept this process and show our willingness to serve him by obeying. Baptism by water is a ritual filled with symbolism capable of helping our minds penetrating deeper and deeper into the importance and meaning of the ritual. Maybe this is reason enough. The purpose of baptism by water might fulfilled when we ponder about it and when we seek God, in order to have him shed some of his light upon us and answer the questions we have. I’ve asked God, ‘why this way?’. His answer has been… Well, the thoughts above have come to mind. And maybe that’s his answer to me right now – continue pondering and one day I will enlighten your mind in this regard. The search for the mysteries of God is the important thing in all of this, because your search conditions your heart and focuses your mind on things not of this world. 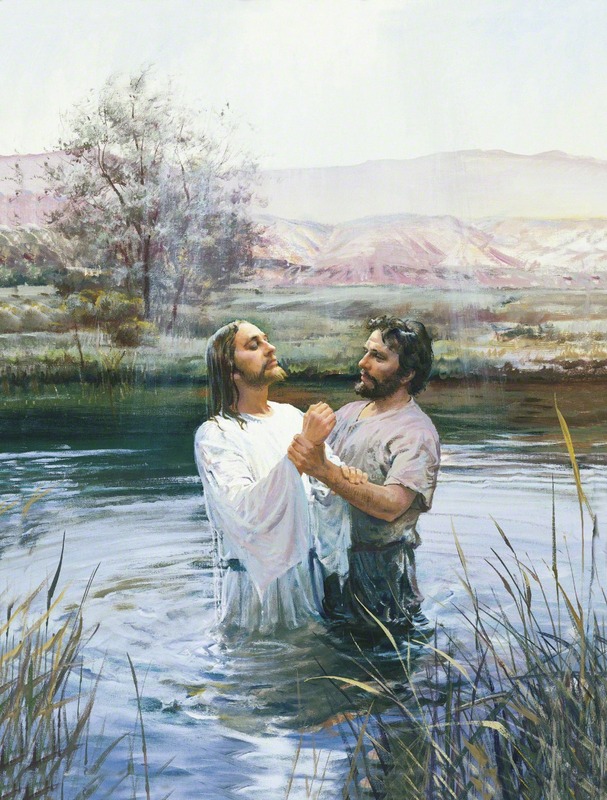 From the words of Alma we can conclude that we are invited to let the baptism of water be a start for a new life as a prospective disciple of Christ. We can show our desire to follow him and keep his commandments by being baptized. He can then lead us along toward the reception of the Holy Ghost. With this in mind, I dare to say that "renewing covenants through partaking of the sacrament" is Church doctrine. This is disconcerting, since there's ample reasons to believe that it's not true. Against the back-drop of 3 Ne. 27:8 (a Church not built on His Gospel isn't his), this might be detrimental. 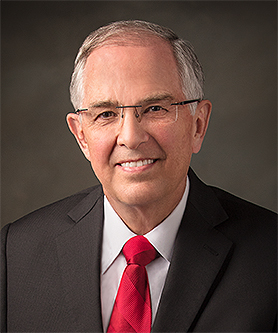 During the October 2014 General Conference, James Hamula spoke well about the sacrament and the atonement. 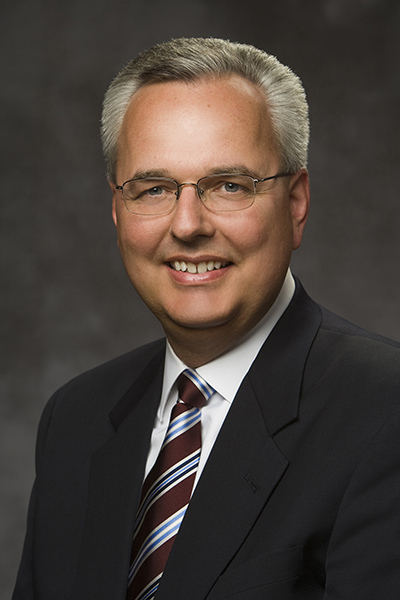 In his talk, he cited/quoted/referenced about 120 scriptures. But he said nothing about the sacrament being about renewal of covenants. I guess he already then knew that this doctrine was unscriptural. This makes me wonder where this unscriptural doctrine comes from. Joseph Smith, as far as I’ve been able to find, never once taught that we renew our covenants made at baptism (or elsewhere) by partaking of the sacrament (I’ve searched through “Teachings of the Prophet Joseph Smith”, “The Words of Joseph Smith” and “Teachings of the Presidents of the Church: Joseph Smith”). The teaching isn’t found in the scriptures either, just like Neil L. Andersen said. This teaching has since then been repeated so many times, that it’s like it came from the Savior himself. Interesting! Renewing covenants by re-baptism. This seems to be a sound Gospel principle as it was practiced by the disciples chosen by Jesus (3 Ne. 19:9-13) and by Alma, the convert of Abinadi (Mosiah 18:12-15). My conclusion is that whenever the Lord renews us to his path, we are invited to show this rededication by being baptized anew. I find this beautiful. This practice was common during the earlier years of the Church. 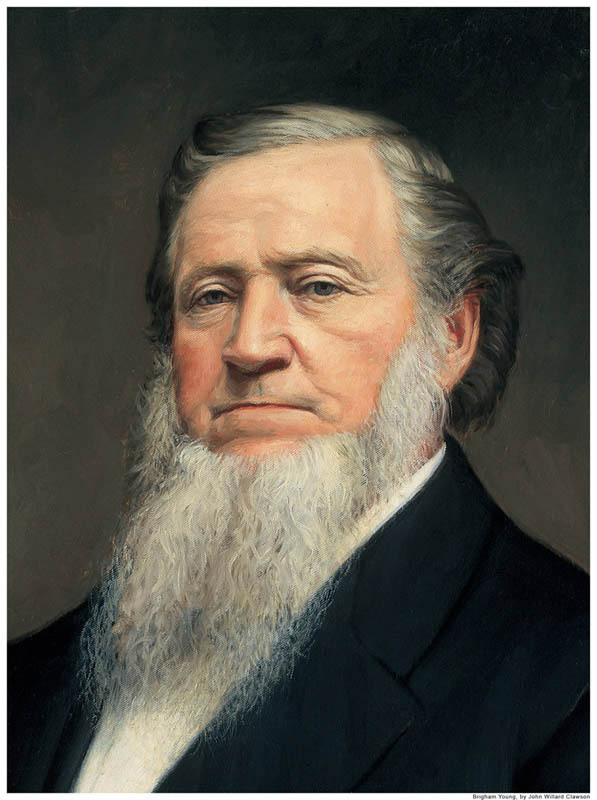 Brigham Young (BY), Wilford Woodruff (WW), Heber C. Kimball (HCK) och Lorenzo D. Young (LDY) taught as follows concering renewing of covenants. Moroni 6:1 And now I speak concerning baptism. Behold, elders, priests, and teachers were baptized; and they were not baptized save they brought forth fruit meet that they were worthy of it. To be an elder, priest or teacher you have to have already to be baptized. This is not saying they were baptized to become these offices, but they were already holding this office and then were baptized. Teach parents who wanted their children to be baptized too young, to be baptized themselves. 1.to begin or take up again, as an acquaintance, a conversation, etc. ; resume. 2.to make effective for an additional period: to renew a lease. 3.to restore or replenish: to renew a stock of goods. 4. to make, say, or do again. 6.to recover (youth, strength, etc.). 7.to restore to a former state; make new or as if new again. 9.to renew a lease, note, etc. 10.to be restored to a former state; become new or as if new again. Implications of "returning to God." Once the Lord makes a covenant with you, He won't break it, we are the ones who will "withdraw ourselves from the Spirit." Partaking of the Sacrament allows for us to "remember Him" "Keep His commandments" so that we will "have His Spirit to be with us." The Sacrament is an ordinance of continued repentance on our part, not a "renewing" of an already existed covenant. There might seem to be a thin line between renewing covenants and renewing our effort to follow Jesus. In the end, it might not matter. I do believe though, that the power of the sacrament is lessened when we ascribe it an unscriptural characteristic and goal. It doesn't help us find the real meaning of the ordinance. I see the point of your thoughts. The talk you refer to has been a favorite of mine.. I had never thought the word renew to be as harsh as you have made it.. More used the definition as a remembering; a personal renewal of my intentions to keep the covenants that I have made as I come to understand them better as I search the scriptures and receive greater understanding of my part in those promises that i have made. I do believe he addresses this choice of wording in church leadership training but I have to find it. Either way I believe what you have taught would better serve the saints searching for a relationship with the savior without criticizing the leaders. The spirit is felt more deeply when negativity is not involved, sharing what you have learned and come to understand will come through and penetrate hearts if the spirit can be present. D&C 10:63. I like what you have said and week definitively consider a different word to use in helping me to describe the sacrament ordinance. Your purposes for your blog would go a lot further by focusing your words on what you have learned to add to what has been taught. What Anderson taught didn't take me further away from the Lord it helped me come nearer unto him and what you have said, minus the argument and criticism of called prophets, had also helped me on my journey back to His presence. You have a lot to share and a great mind and heart, I believe your heart has his intentions but is being clouded by animosity. I know the prophets that have been called today, have been called by the Lord, who stands at the head of the church. He works through them and their weaknesses to bring us unto Him. Their words inspire me to be better, to become more than I think I can be. I have had countless experiences in which the spirit had borne witness of this to me, to my heart and soul. I love how you are seeking to understand, I believe you will do even more for the saints of this church as you focus on the truths you are beginning to understand instead of those bits and pieces you find fault with. The spirit will have more of an opportunity to speak to your heart and others and also your time will be far better spent searching to add to truths rather than spent calling someone else's words wrong. You know I love and respect your journey... We all have a personal journey... The path is much more edifying when you focus on the beauty of your path rather than the weeds of someone else's. Your flowers are blooming I can see them and smell them, dont let the weeds and underbrush distract those on your journey with you from the beauty and smell of your flowers. "Don't believe the men who say that the sacrament is to renew baptismal covenants. Believe the other men who say that we should be rebaptized to renew those covenants." I mean, you discount some men and their seeming random quotes, but then requote other men and their seeming random quotes to support your idea. Too bad the Savior said nothing about renewing covenants - either in the Bible or in the BOM. You are right that Christ said nothing about renewing covenants. I guess it's more about renewing ourselves in relation to the covenant. This whole sacrament thing is taking on another meaning for me, and I'm not finished. Thanks for pointing out the inconsistency in accepting the words of dead leaders while rejecting those from the living. Nothing, besides what's true, shouldn't matter. I will take that to heart! Thanks again.